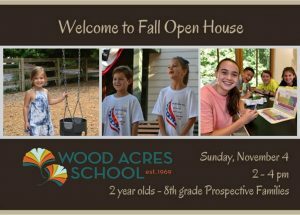 Sunday afternoon, November 4, will be our annual Open House for Prospective Wood Acres families. Our Wood Acres legacy families are the best marketing folks around. Thank you for “bragging” about a Wood Acres education and sending great new families our way. Families can register online here or on the woodacresschool.org website. The campus wide Pop Tab collection is well underway for the Atlanta Ronald McDonald House. 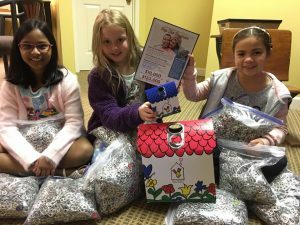 A very big thank you goes to a special third grade girl and her family that brought in 52,000 pop tabs last week to help jump start the donation. Pop Tabs will be collected through Valentine’s Day. Need a great gift? Poinsettias and new winter spirit wear sales are around the corner. Be on the lookout for information coming home soon to buy these items just in time for the holidays. All proceeds directly support the 8th grade students capstone trip to Spain. 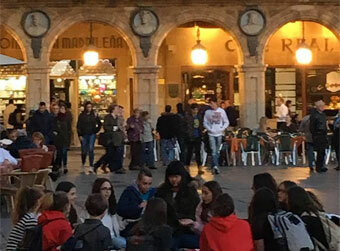 Thank you for supporting our students as they raise money for their trip of a lifetime! Fall @ the Woods is certainly our favorite season! Thank you for choosing Wood Acres as your child’s academic home. The sun is gently kissing the leaves of the Wood Acres’ trees and the first signs of autumn are all around the Woods. Here are a few family reminders for you. Class and individual school pictures will be taken on campus either October 3 or October 4. This Friday, September 28 is the very LAST day to turn in picture money. Forms were sent out the week of September 4. We have kicked off our campus wide Pop Tab collection for the Atlanta Ronald McDonald House. Remove the pop tabs from every aluminum can and bring them to Wood Acres. Collection houses are in every cottage, in Turner Hall, and in the office. We will be collecting the tabs through Valentine’s Day. Start your collecting today! Families impacted by Hurricane Florence have critical needs. If you would like to donate, please check out the Amazon Wishlist created by the Diaper Bank of NC. Visit http://a.co/agCUmXT and make a purchase that will be donated directly to families that need help. 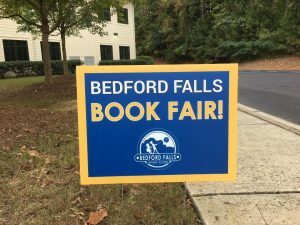 Start your holiday shopping at the upcoming Wood Acres annual Fall Book Fair October 15 – October 19. 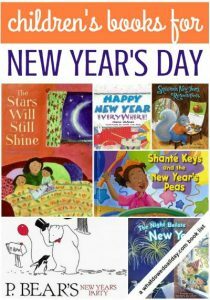 Great books at great prices will make some great gifts! All proceeds help grow our own school collection. Sunday afternoon, November 4, will be our annual Open House for Prospective Wood Acres families. Our Wood Acres legacy families are the best marketing folks around. Thank you for “bragging” about a Wood Acres education and sending great new families our way for a campus visit on November 4. 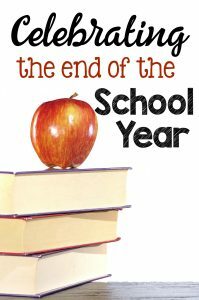 As we approach the end of the first quarter of the 2018-2019 school year, we want to thank each of our families for making this one of the best starts ever. An education at Wood Acres is like no other and we enjoy working with you as a school community to make it so. Fall into a good book, too! We’re welcoming the month of September very soon to the Wood Acres calendars and we hope that you have noted these exciting events on yours! Thank you for your outstanding attendance at the Parent Orientation Meetings for grades 3rd – 8th. We look forward to seeing K – 2nd parents on Tuesday, August 28th from 7 – 8 pm and 2’s- 4’s parents on Thursday, August 30th from 6:30 – 7:30 pm. The After School Activities brochure is going home soon for students in the 3’s – 8th grade. Class sizes are limited so sign up soon through vendor website links located on the activities brochure. Remember to sign up for all kinds of fun because after school programs inspire imagination! Our substitute teachers and teaching assistants come from our Wood Acres families and their friends. Join this great group of involved folks by attending the annual Substitute Training session on Thursday, August 30th at 11:30 AM. Email subwas@woodacresschool.org to register for the session. See you there! New WA Families Coffee on Wednesday, September 13th at 8:30 AM. You are invited to a special breakfast celebration with all of our new families! Please join us in Beaker Jr. (in Turner Hall) at 8:30 am for a light breakfast and great conversation. 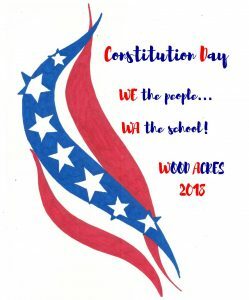 On Monday, September 17th, at 9:30 AM the entire Wood Acres school family will gather on the campus Quad to celebrate the 231st birthday of the United States Constitution. It will be an absolutely grand event with students decked out in custom designed Constitution Day shirts provided to them that morning. All Wood Acres Families are invited to attend. Come enjoy music, songs, recitations and CELEBRATION! Join us as we proclaim…..WE THE PEOPLE! 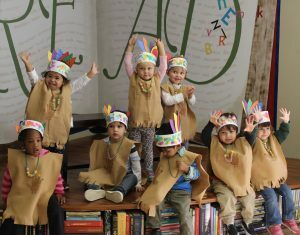 Your presence and support of our programs, curriculum, faculty and school are so appreciated as we all work to providing our Wood Acres Navigators with a unique and word class education. As we begin a new week, the start to the 2018-2019 school year is coming very soon! The campus is a flurry of activity with pine straw, sod, and textbooks around every corner. A few pieces of homework for our families will greatly help us be prepared. Complete all the required parent packet forms and updates on each student and submit to the office via email admin@woodacresschool.org or hard copy as soon as possible – but before Meet and Greet if you can! Are your immunizations current? If not, get to it! Is your school tuition account up to date? If not, put that at the top of your To Do list. Order your Wood Acres Spirit Wear online here today! Planning on using Tree House? Please complete the forms and submit quickly so we can have it well staffed from the first day of school. 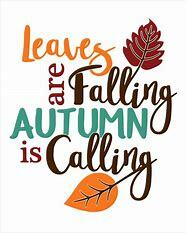 The school office will be open today and tomorrow from 7:30 am – 4:00 pm. The school office and campus will be closed this week on Wednesday, August 8 – Friday, August 10 all day for the Wood Acres annual staff kick off and staff development. First and finally, thank you for being such a key part of our school community. The ones who benefit from those on going partnerships the most are the students…JOB #1! We hope this Wood Acres update finds you well with your children enjoying the lazier days of summer time. Here are some brief campus updates to keep you well informed about the Woods 2018-2019. Watch your mail the week of July 30th and you will be receiving the kick off packet with class assignments and important paperwork to complete before the beginning of school. We get as excited as the students do to put all the pieces of the new year’s puzzle in place! NOW…back to summer! We have everything in place to make it one amazing year! Your homework…sun, fun, family and reading every day! It is a merry, merry, magical month of May @ the Woods- full of sentimental farewells and graduation, cheers and celebration. Behind the scenes it is also quite manic. Summer Camp prep, summer repair and renovation scheduling, academic year wrap with report cards, standardized test results, and student transcripts all appear on a detailed check list. Parent and student packets for the coming academic year go to the printer, curriculum gets ordered as do supplies and materials. The campus is scrubbed from top to bottom, from ceiling to floor, from door to door. Yet the pace is somehow a bit slower, a bit easier, a bit relaxed… at least for a few weeks. The rhythm of a school year at Wood Acres is a carefully crafted symphony of dedicated faculty and staff seeing to all the thousand details behind the scenes that create magic each year as school begins anew. And for The Wood Acres School, this has been occurring for almost 50 years! Join us this month as we look back on a grand school year, celebrate the present honoring our graduates of the class of 2018 plus each student’s academic growth, and gear up for the future of the 2018-2019 school year and the preparations for our grand 50th anniversary celebration in 2019. That will indeed be a merry, merry magical time as well. Here’s to May @ the Woods and a grand family summer, too! Monday, February 19 – Wednesday, February 21 are school holidays for all Wood Acres students. No classes or Tree House for students on these days. Enjoy your Presidents Day! Tuesday, February 20 – Wednesday, February 21 are parent/teacher conference days. We aim for 100% parent participation and we look forward to great conversations about student growth and success. Thursday, February 22 is the deadline for legacy family registration for the 2018-2019 school year. The school office will be open until 5:00 pm to accept your completed registration materials that you received several weeks ago. Drop off your paperwork and then celebrate that you made the very best decision for your child’s continuing education. Meeting the deadline assures your family a reserved spot for the next school year. Acceptance of new students has begun and late registration after February 22 will not assure your child’s place for the coming year. By meeting this deadline, you also greatly assist us in effectively staffing and planning for the new year. If this deadline poses confidential challenges for your family, please contact Jenny Tischer, jtischer@woodacresschool.org, to discuss. The coming 2018-2019 academic year looks great for Wood Acres. While we cordially welcome new families to the Woods to grow our programs and grades, the heart of Wood Acres is YOU! While searching for inspiration to write a HEADline to launch the new year, I came across this reprint of an article in Huffington Post. Seems like pretty sound advice and very doable if you “stay the course”. Here’s to a great 2018 @ the Woods in your family. As the big hand creeps its way toward midnight on December 31, most people give at least a fleeting thought to New Year’s resolutions. Those usually have to do with eating or exercise or a nagging behavior ripe for modification. And we all know how long those last: Not very. Instead, let’s talk about resolving to make some changes in your parenting — small adjustments that you can do and keep up, that will make a big difference in your life with your child. Even the best (whatever that means) of parents, has a list of things she thinks she could do better as a parent — not yell so much, get home earlier at night, be more patient. I’ll bet you have at least one of those on your own list, right? Here are 5 parenting tips for the coming year — ones that you can easily put into practice — that you might want to add to your resolutions. Listen to your kids. Sounds obvious, even ridiculous, doesn’t it? There is a reason we are given one mouth and two ears. Children want and need air time. And when they get it from you, the unspoken message is: You matter. I care about what you have to say. Your ideas, thoughts, and opinions are worthy of being heard. So, slow down, wait, face your child, get on his level, and listen to what he has to say. Don’t talk over him, don’t finish his thoughts, and don’t hurry him to get on with it. The time you invest listening will pay immeasurable dividends. Count to 10.Before you respond to anything that is beyond the mundane with your child, pause. Do not react; do not say anything — no threats, no judgments, no punishments. Just wait. The space you create will allow you to think about your response. It will lessen the likelihood of a misfire on your part. We parents are often so quick on the trigger that we regret what has spewed forth. Only slightly easier than putting toothpaste back in the tube, taking back your hastily delivered judgments, crazy consequences, or insane threats is tricky. Pausing and counting to 10 will get you closer to the response you deliberately and wisely choose. Beware of hollow threats. Parents come up with the wildest threats when they are trying to get a child to do or not do something. If you don’t come to the bath right now, we are not going to Disneyland on Saturday! Or, If you don’t stop bothering your brother, I am giving away your new fire truck. Huh? Really? Not only do children smell your insincerity, but they know if you will follow through. Threats that are feasible, (especially ones that are logically related to the misbehavior), ones that you actually will carry out, can be effective. Your child learns that you mean what you say. And the behavior stands a good chance of changing. Stay the course. When it comes to getting what they want, kids will go to all ends, and they have incredible tenacity. They beg, they whine, they hound, they negotiate, they debate, they look for a chink in the armor. Don’t let them wear you down. If No is your answer, stick to your No. If you are not sure of your answer, steer clear of No and go with I need to think about it. Children who are raised with consistent, non- negotiable boundaries and limits are happier children. And remember one Yes will sustain a child through a thousand No’s. Be good to yourself. Much like the “Oxygen Mask Rule” on an airplane, a parent who takes care of herself will be a better parent. If you are spent, you are no good to anyone. You say things you regret; you channel the parent you swore you’d never be. So, have that massage or lunch with friends, say No to one more committee chairmanship, turn over the reins one night and treat yourself to a hot bath. You will be the parent you want to be, and your whole family will reap the benefits. The first signs of Thanksgiving are all around the Woods and we hope the upcoming week off will be much enjoyed. Friday, November 17 Support the Wood Acres 8th graders as they raise money for their capstone trip to Spain. Buy a Poinsettia today for the holidays! Deadline for all orders is this Friday, November 17th. Samples now in the WA front office and order forms are attached to this email. Thank you for your support! 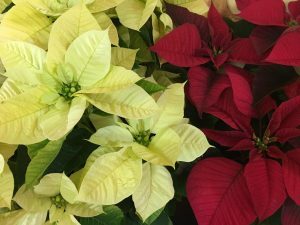 Poinsettias will be delivered the first week of December. Monday, November 20 – Friday, November 24 Wood Acres is closed for Thanksgiving and there is no Tree House. 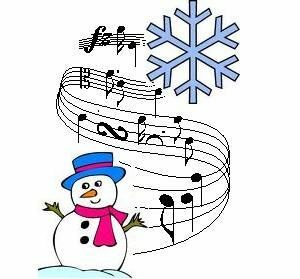 Thursday, December 14 Annual Wood Acres Band Concert at 6:30 pm. Monday, December 18 Tree House closes early at 5:30 pm for annual staff holiday event. Thursday, December 21 Early Dismissal 4’s – 8th at 1:00 pm. 2’s dismiss at 11:45 am and 3’s dismiss at 12:45 pm. Friday, December 22 – Tuesday, January 2 Winter Holiday Break. No school and no Tree House. 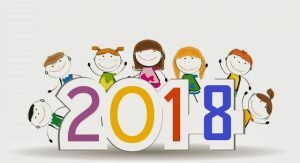 Wednesday, January 3 Return to School – Welcome Back!